Danger Text is a text creation motivational tool that laughs in the face of writers block and procrastination. It is the perfect tool for rapidly writing—and sharing—your stories and ideas. 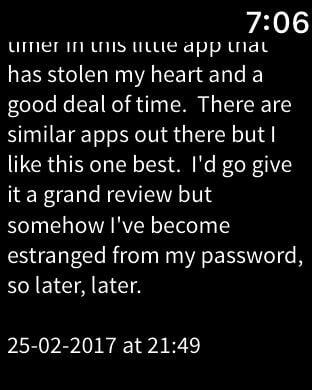 But be warned: if you stop writing for more than a few seconds before Danger Text says you can, you will lose it all. 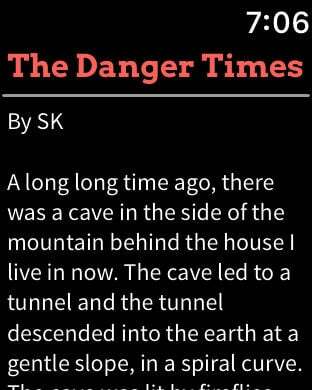 Featuring the in app publication 'The Danger Times', where you can optionally publish your stories and read other users submissions. You can even read the latest stories from The Danger Times on your Apple Watch. Once you've finished, you can email, airdrop, or share your creation. Danger Text will save your recent text creations for viewing and exporting at a later time.